The historic propaganda image I chose was from World War II, it shows a young boy wearing a Nazi hat with war going on in the background. 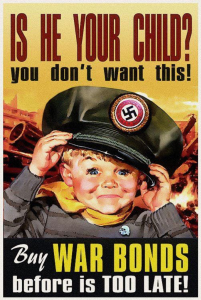 This piece of propaganda was to scare the American people into buying war bonds to help the government finance the war. 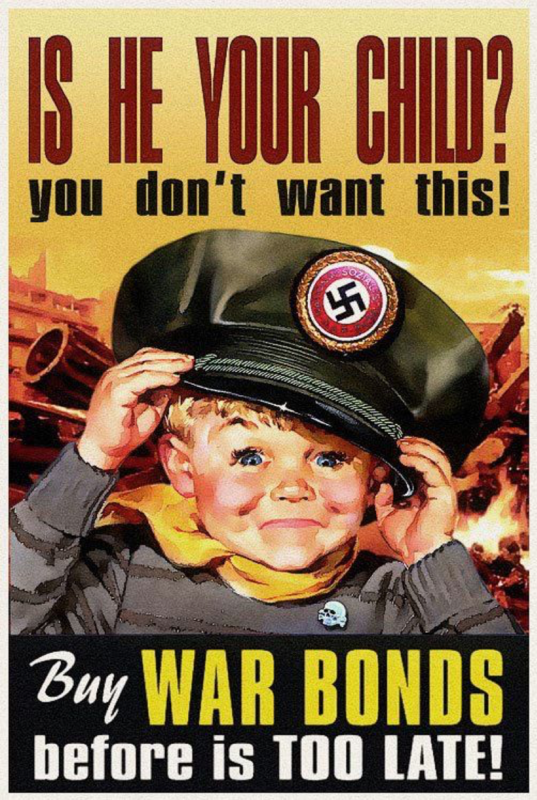 If they didn’t buy a war bond then the image depicts that your child could become a Nazi because America might lose the war to Germany if the American people don’t contribute with their money. On the one hand, it’s not a bad thing if people buy war bonds. What I think is negative about the image is they way the government is going about it. They defiantly didn’t need to turn the American child into a Nazi to get across the seriousness of World War II. 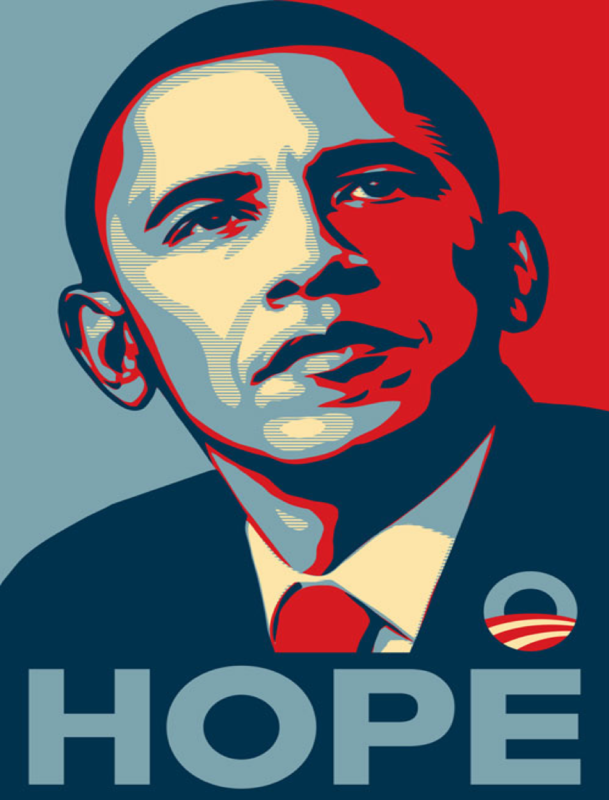 The contemporary image is of Barack Obama during his 2008 presidential campaign. The image was iconic and really represented his message that he wanted to convey to the American people. I think this image was (and still is) powerful because the American people were upset with the Bush administration and they wanted a change. Obama was the first black man to get as far as he did in the presidential race and people really started to believe that he could win the 2008 presidency. The red, beige, and blue coloring immediately stands out right when you see the image and just one word underneath. Hope. That’s what he gave the democrats and the United States. Propaganda is most utilized through social media nowadays, hardly anyone buys a newspaper anymore so if the government, corporation, or presidential campaign want to put out propaganda than the best way to do it is through Facebook, twitter, instagram, etc. That is the most efficient way to reach lots of people. 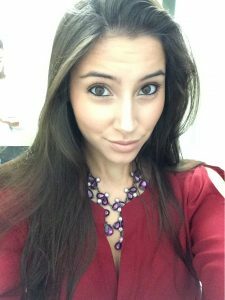 With Facebook having an algorithm, the government or large corporations can target a select audience with advertisements or if their message is specific like when Fox News praises president trump and most people that do not watch fox news knows its not true but the target audience of Fox News believes in the Fox News.